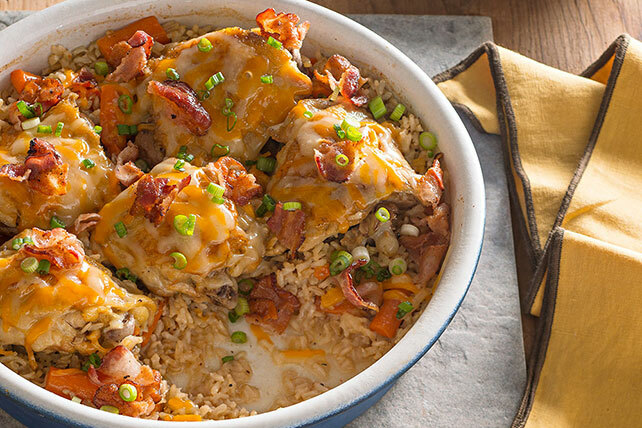 The stars of this dinner menu are chicken and rice, with cheese and bacon doing what they do best: making even more delicious! PS: Save room for dessert. You’ve probably heard that chicken thighs are the tenderest, juiciest part of the chicken. It’s true—and they're terrific in this hearty casserole. As with many chicken bakes, the prep work for this one is a snap—leaving you plenty of time to make a tasty veggie side dish to go with it. We’re not gonna lie: We love cauliflower recipes! 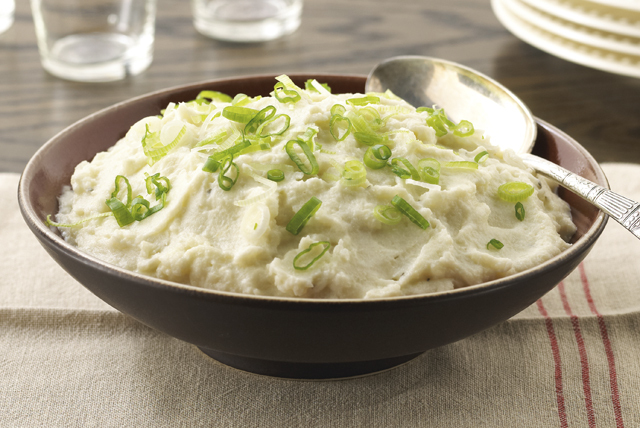 Especially ones like these, which make such tasty alternatives to mashed potatoes. It also doesn’t hurt that this one is so easy to make—and is a Healthy Living recipe. 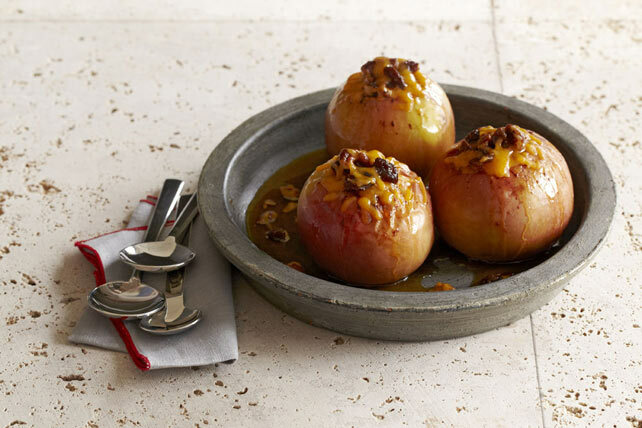 Got fans of apple deliciousness? This easy Healthy Living dessert is everything that’s awesome about apple pie filling—without the hassle of, you know, making a pie.